Whooping cough is a very serious infection. Getting vaccinated while pregnant is highly effective. It protects your baby from whooping cough in the first few weeks of life. If you aren’t vaccinated and have a chronic health condition or a weakened immune system, you may be at increased risk of complications. For more information about the whooping cough vaccine visit the NHS choices page. Have a chat with your midwife or GP for more information. When you have the whooping cough vaccination in pregnancy, the immunity you get will pass to your baby. This will give your baby protection until they are old enough to have their whooping cough vaccination at eight weeks old. Why should I have the flu vaccine during pregnancy? If you are pregnant there is a greater risk of complications from flu, such as bronchitis and pneumonia. Yes. 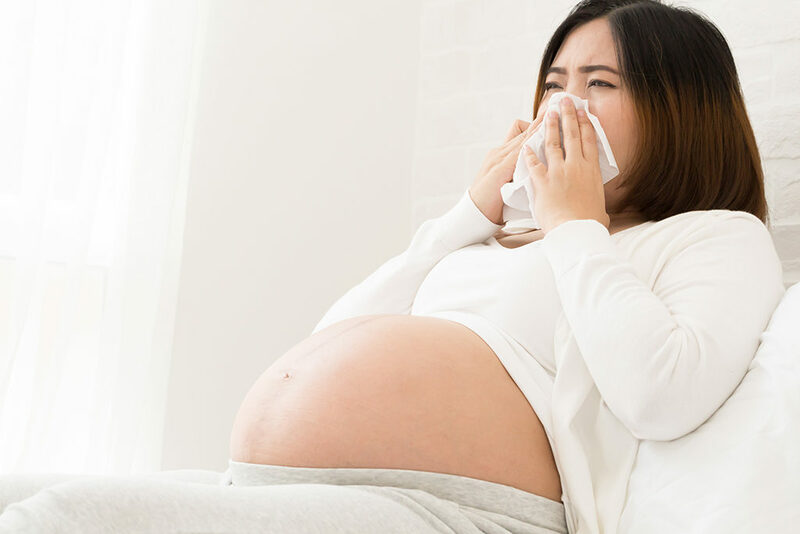 Studies have shown that it’s safe to have the flu vaccine during any stage of pregnancy, from the first few weeks up to your expected due date. Yes, you can have your flu jab at the same time as the whooping cough vaccine. However, you are at risk of severe illness from the flu at any stage of your pregnancy. So don’t delay your flu jab just so you can have them both at the same time. Visit our flu page for more information about flu and the vaccine. When you’re pregnant, you share everything with your baby and this includes the vaccines that you have antenatally, these include the Whooping cough and the Flu vaccine. Not only will you protect your own health but that of your baby’s when they are vulnerable and rely on you to keep them safe.